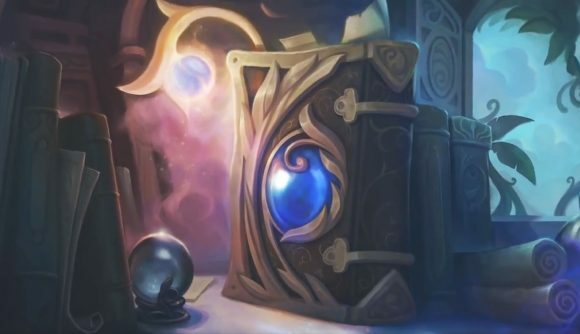 January 25, 2019 Riot has released more detail about its upcoming support champion. League of Legends developer Riot Games has released more information about its next new champion. In a YouTube video posted earlier today, lead producer Ryan ‘Reav3’ Mireles offered some clues about the upcoming addition to the roster. Reav3 goes on to say that “it’s been a long time since we released a traditional enchantress support,” citing Nami’s release way back in 2012, and theoretically confirming that the new champion will be female. He says that the new champion will be “a complete 180 from our last support,” the assassin-themed Pyke. The new support will be relatively traditional, but Reav3 also says that their release will bring some new mechanics to the game. Reav3 also revealed the upcoming Mordekaiser rework. The Master of Metal is finally getting a much-needed update, but there’s no word on when we’ll get to see it in action. The new champion was first teased in a tweet earlier this week, in which lead producer Joseph ‘New001’ Tung discusses the many changes on their way to the game in 2019. From the return of ARURF, to the continuation of the League of Legends Marvel Comic series, to the game’s ongoing esports scene, there was plenty to take in. You can check out the Reav3’s comments for yourself in the video below. Based on that, if you were hoping for some sort of timeline on this new champion, I’m going to have to disappoint you. Based on the time between between new champion Sylas’ first teaser and his release, however, I might guess that we’ll get our hands on this new support towards the beginning of the summer.